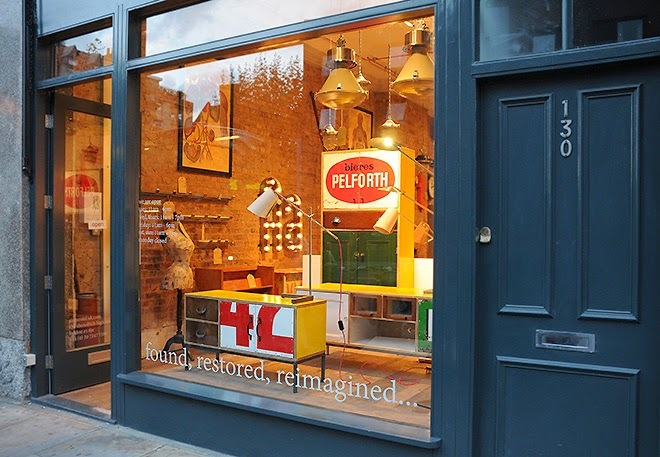 My two new sign cabinet/sideboards have just been delivered to Elemental. 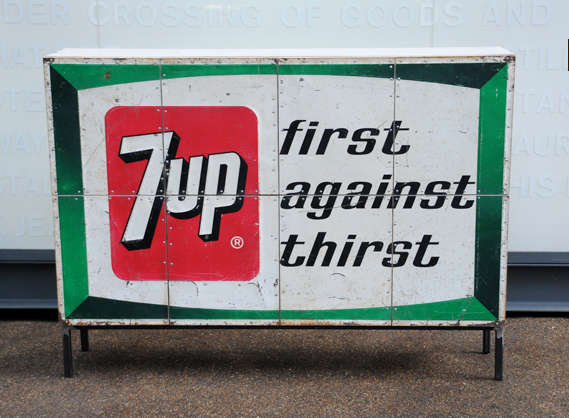 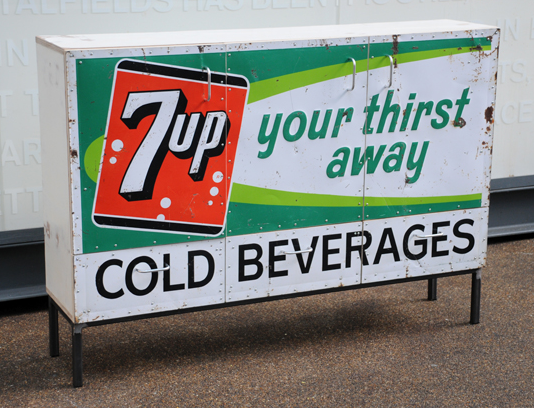 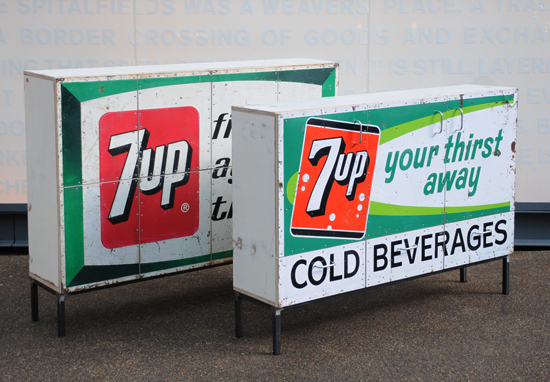 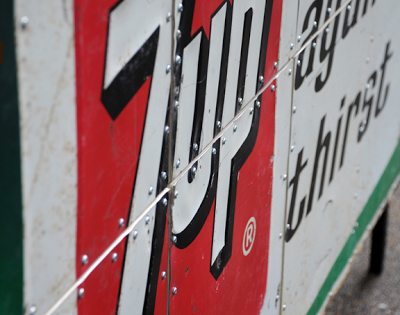 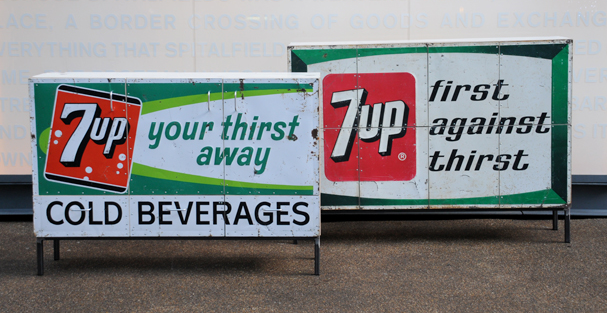 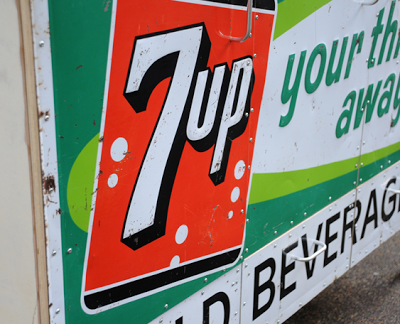 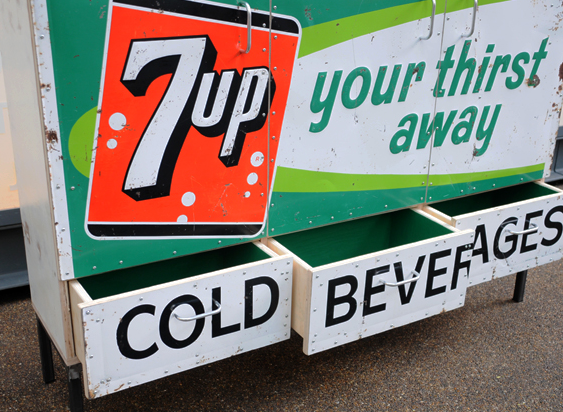 Both are made with vintage 7up printed metal signs from America and Canada, the main framework is made entirely out of reclaimed plywood that has had its original painted white surface refinished and waxed. mounted on a matt finish raw steel base. 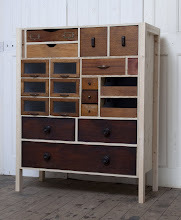 above: the smaller of the two cabinets ('the drinks cabinet') has three large doors and three drawers. 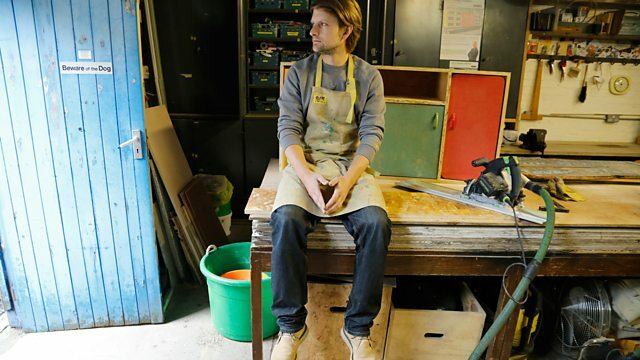 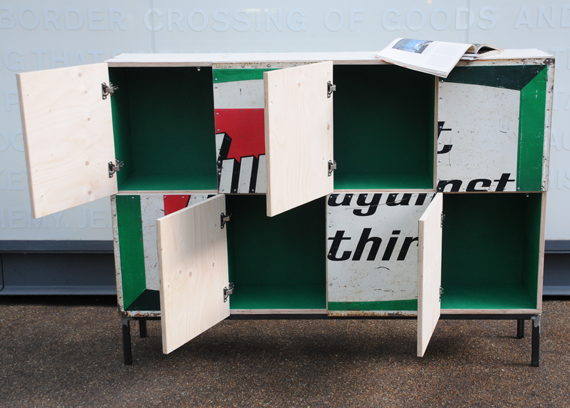 the interior has a green paint finish and the cupboard bases are lined with a reclaimed green perspex sheet. 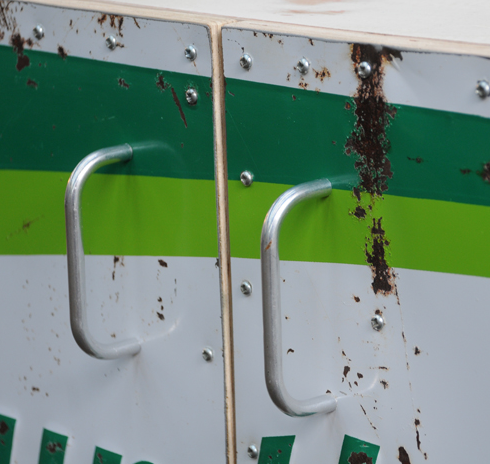 above: even the handles were salvaged -these came from a school science lab clearance and the screws used came from an old kitchen cabinet making factory that closed down.